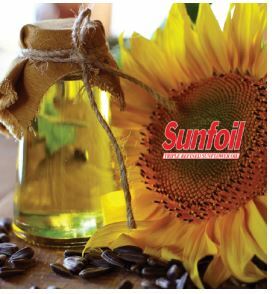 Willowton Group opened its doors in 1970 and has grown to become South Africa's largest sunflower seed crusher as well as one of the leading competitors in the South African FMCG market. The edible oil-based products range from edible oils, candles, toilet and laundry soaps, to margarine and spreads, chocolate, baking and industrial fats. The outstanding business acumen and foresight of founder Dawood Hassam Moosa (known as DH) and his brothers, built Willowton Group from humble origins into one of South Africa's largest manufacturers of FMCG products. Willowton Group, situated in Pietermaritzburg, in KwaZulu-Natal, has expanded its original operations to incorporate manufacturing, packaging and distribution capabilities, to the extent that it now also has operations Johannesburg (Isando Foods) and Cape Town (Cape Oil). The business is currently run by the sons and grandsons of the late DH Moosa, continuing his vision to provide a quality product matched with quality service, to meet the needs of its customers at a reasonable price with a reasonable profit, and to always remember its social and religious responsibility to educate through means of bursaries and to help uplift those less fortunate, regardless of race, colour and creed. The business is built on pillars of excellent service, ongoing investment in technology and human resources, and the hands-on involvement of the directors in the daily running of the business. A central technical centre with latest technology ensures that high standards are maintained at all times. The Group is always striving to develop new products and further improve the existing quality of products manufactured under the Willowton banner. Willowton Group is proud to have been awarded the Platinum Seal of Appreciation by the Heart and Stroke Foundation South Africa for supporting the fight against heart disease and stroke - South Africa's leading non-infectious killers. Its sound business approach is paying dividends. Willowton Group's products are found in leading chainstores, supermarkets, wholesalers, retailers, independents and food manufacturers nationwide, as well as Willowton Group in Sub-Saharan Africa. Willowton Group is exporting aggressively, and brands such as Sunfoil, D'lite, Crown, Britelite, Daily, Cameo, Sunshine D, Nuvo and Romi can be found in markets in southern and central Africa. The Willowton Group manufacturing facility in Pietermaritzburg successfully operates the Hazard and Critical Control Point (HACCP) Food Safety Management System. This is an internationally accepted food quality and safety management system which ensures that products are hygienic and safe for public consumption. HACCP accreditation provides assurance of the highest quality production and manufacturing standards within Willowton Group's facility. The Pietermaritzburg factory has also attained British Retail Consortium (BRC) accreditation, which is essential for securing contracts with companies supplying food products to major UK supermarkets such as Marks & Spencer, Tesco and Sainsbury's. The Willowton Group aims to not only provide jobs for our local people, but also to ensure that proper training skills are given to dedicated personnel and strives to empower its staff to be better and aim to be the best. Willowton is constantly seeking ways to uplift staff through skills and training programmes and always looks to promote internally through development before looking to employ outside of the business. In August 2008 Sasol offered BEE shares to previously disadvantaged individuals and organisations. The Willowton Group applied for shares for each of its employees that qualified. This was a phenomenal success with employees being empowered to invest in their future and obtaining financial benefit at the same time. Sunfoil sponsors both national and development cricket in South Africa, believing that you can only make a difference from the grass roots up. Through all tiers of the game our passion and commitment shows through developing the future stars of our country and bringing quality First Class and International cricket to the people of South Africa. In keeping with its commitment to contributing towards the advancement of previously disadvantaged communities and individuals. The company's Sunfoil Education Fund provides bursaries for children coming through development cricket programmes. The company also supports many other corporate social development initiatives. Nature of Business: Manufacturers of edible oil, margarine, fats, soaps and candles. To be at the forefront of innovation in the FMCG industry and provide consumers and customers products that will make a difference in their everday lives, by people who care. Whilst maintaining the ethos of social upliftment. To own and grow brands, which are consumer household choices and provide them the quality, nutrition and hygiene they require every day. Willowton Group & Louis Dreyfus Company Africa anticipate economic boost with maize milling merger approvals.